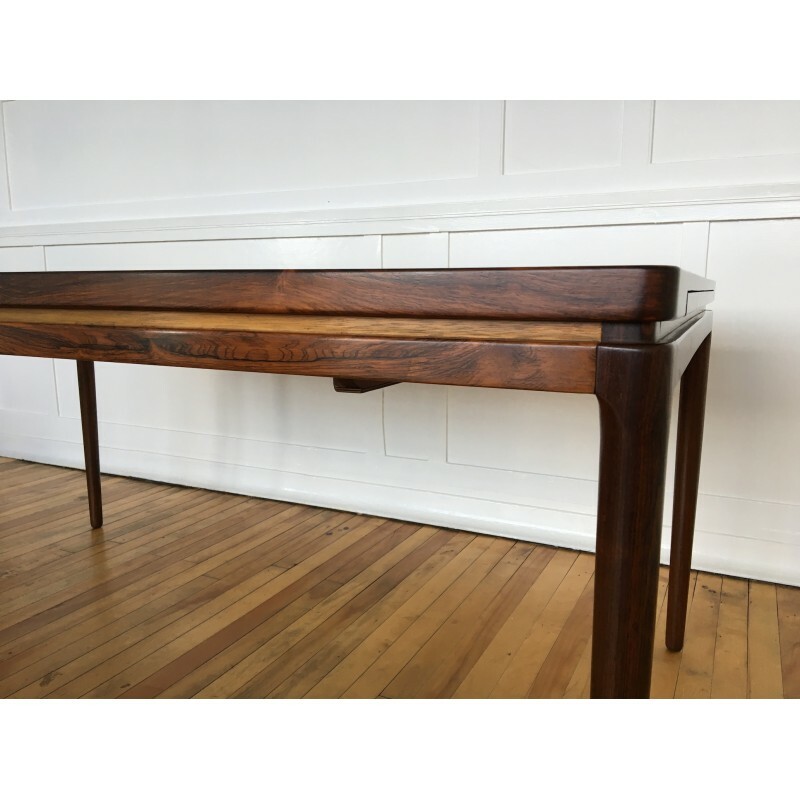 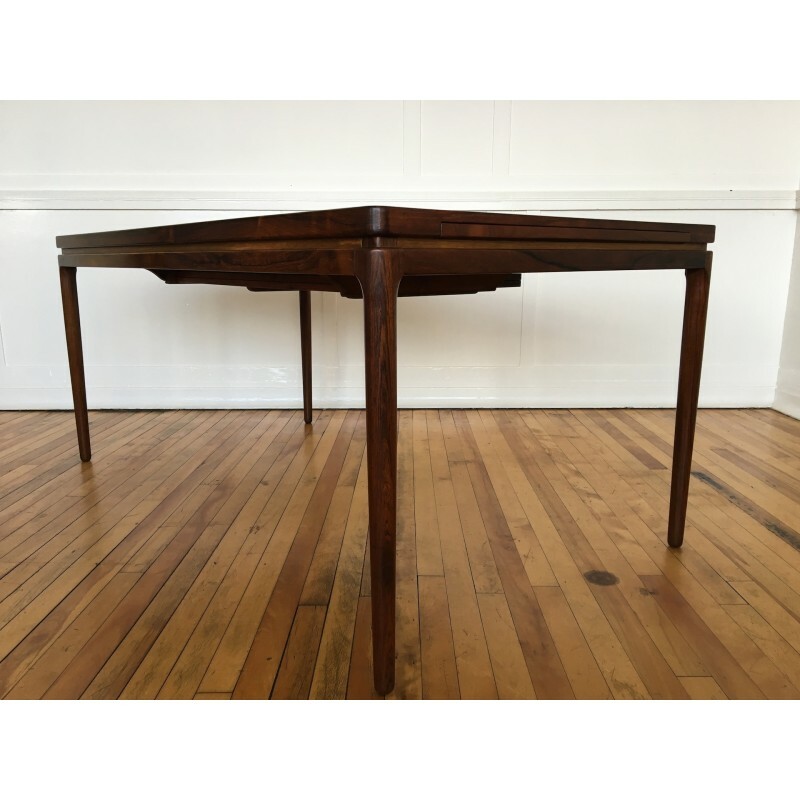 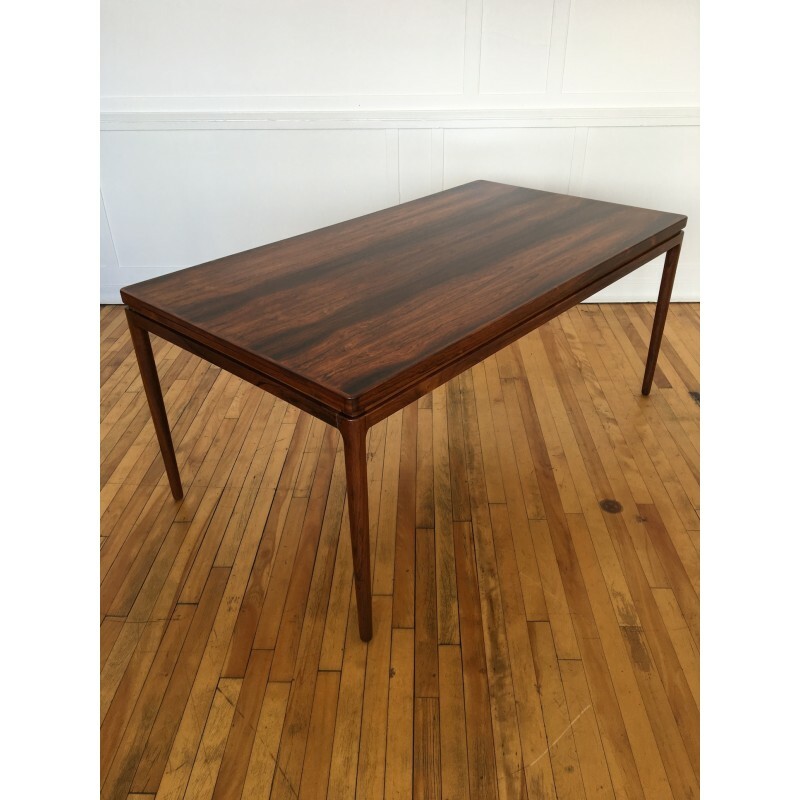 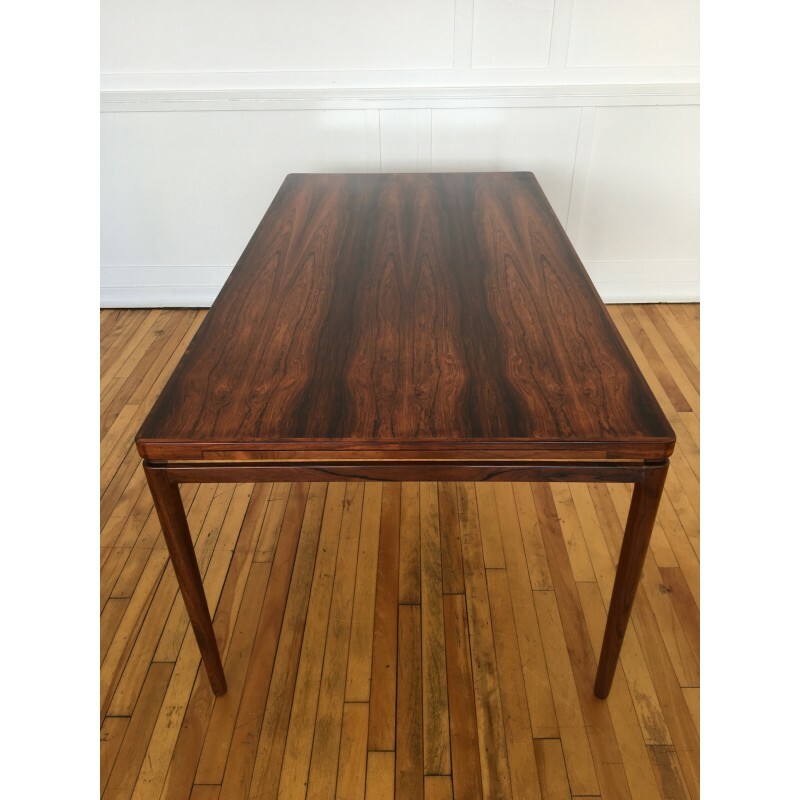 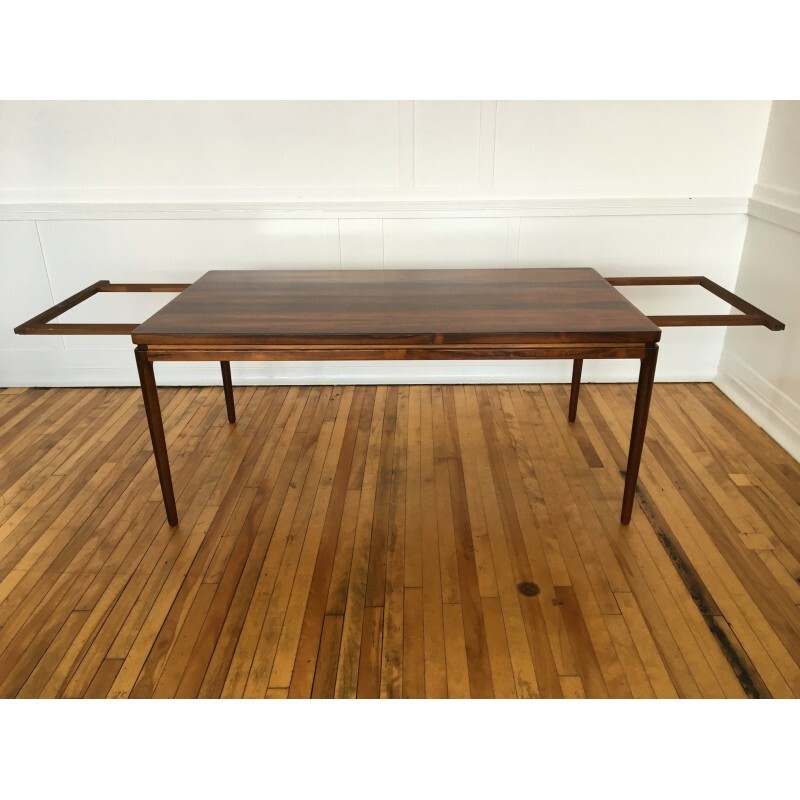 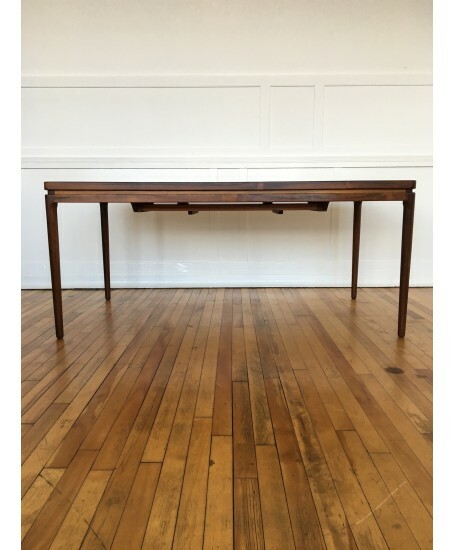 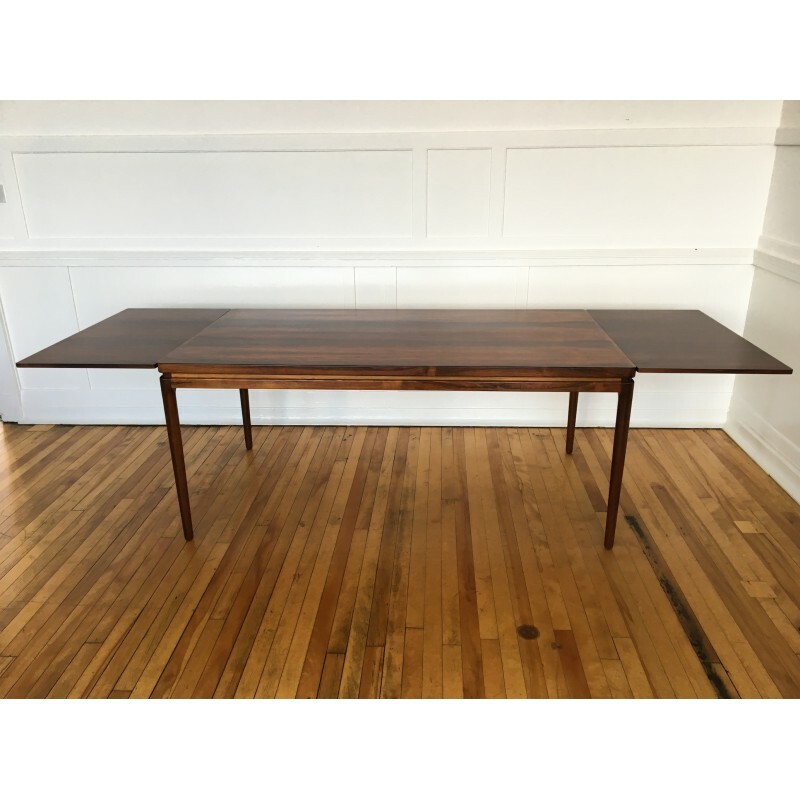 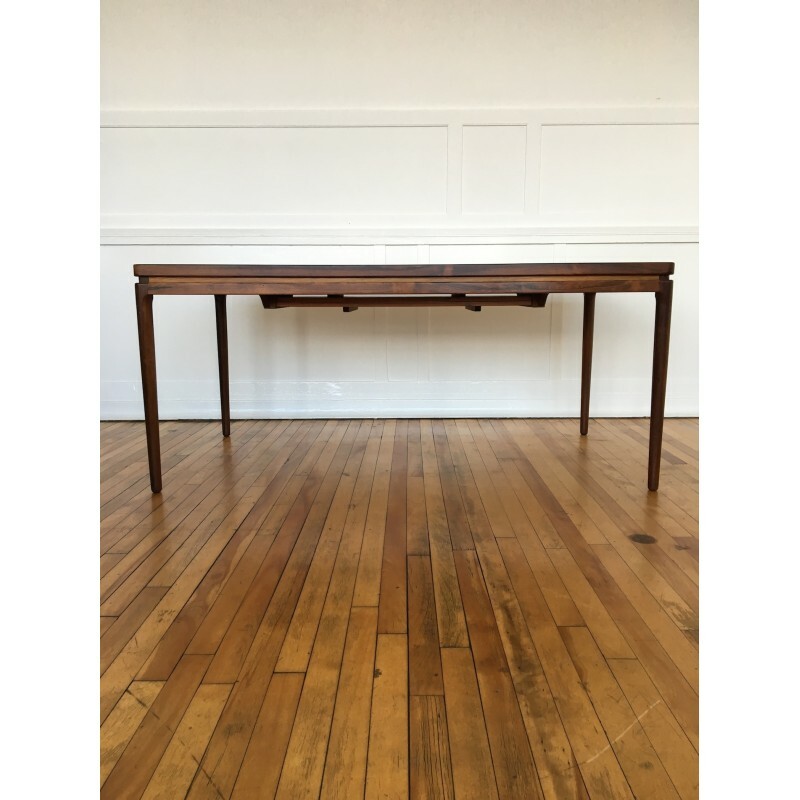 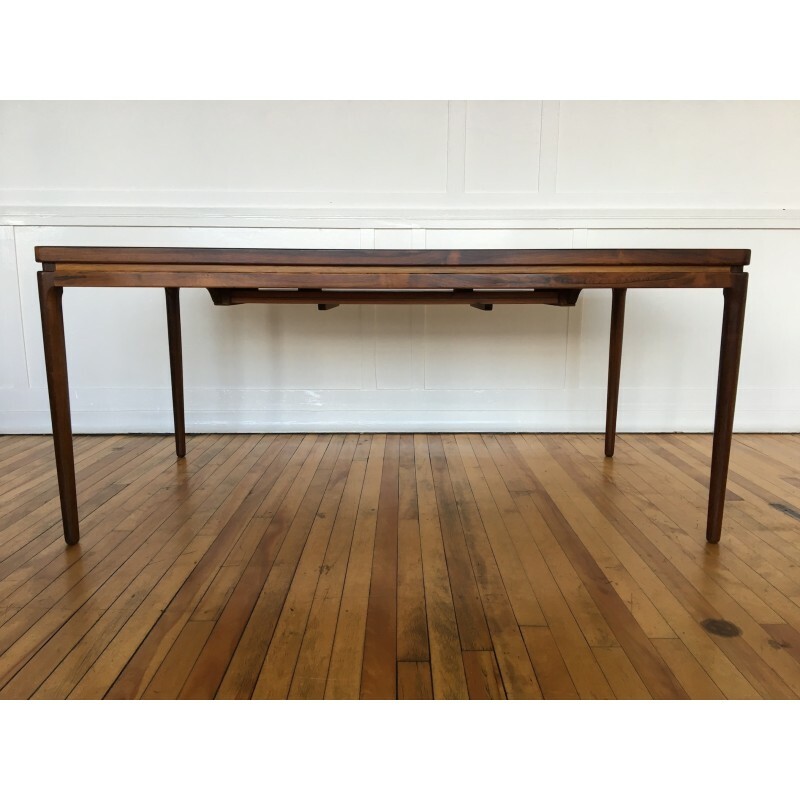 A beautiful extending rosewood dining table by Johannes Andersen for Christian Linneberg, circa 1960's. 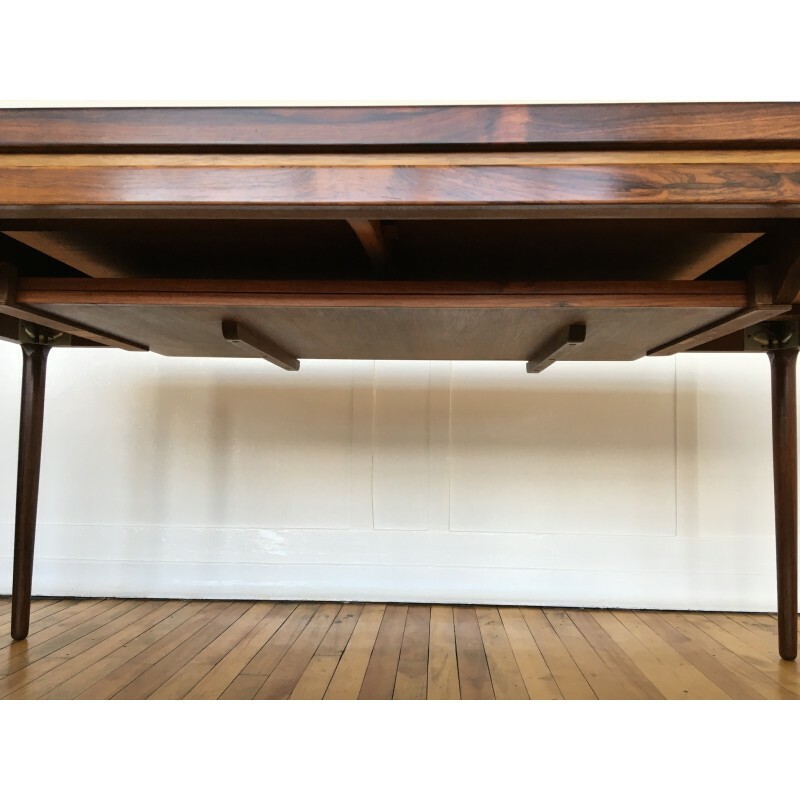 The table has two extension leaves which are cleverly stored to the underside. 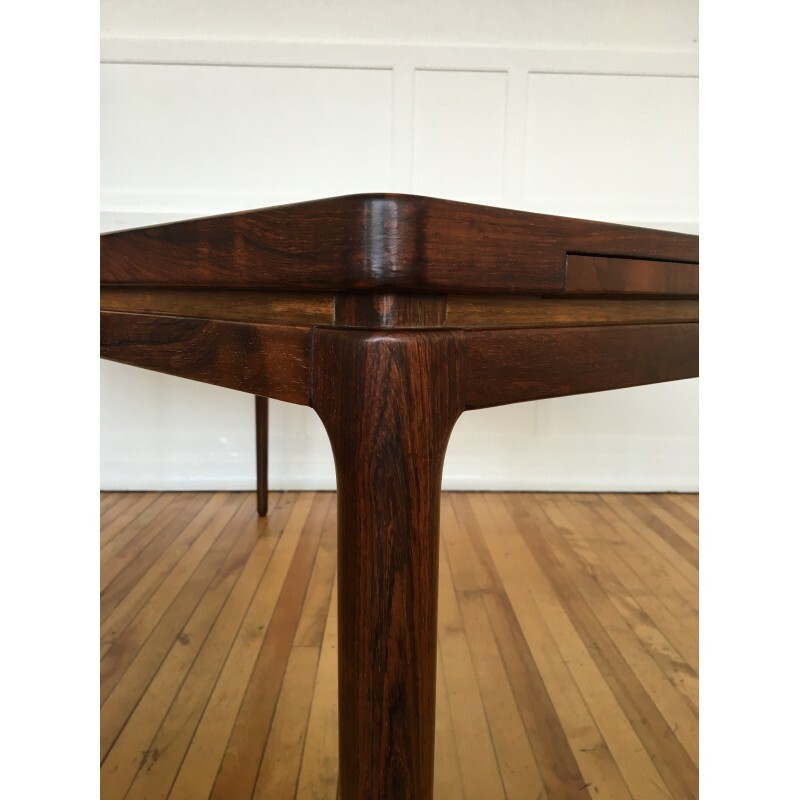 Each leaf can be used separately. 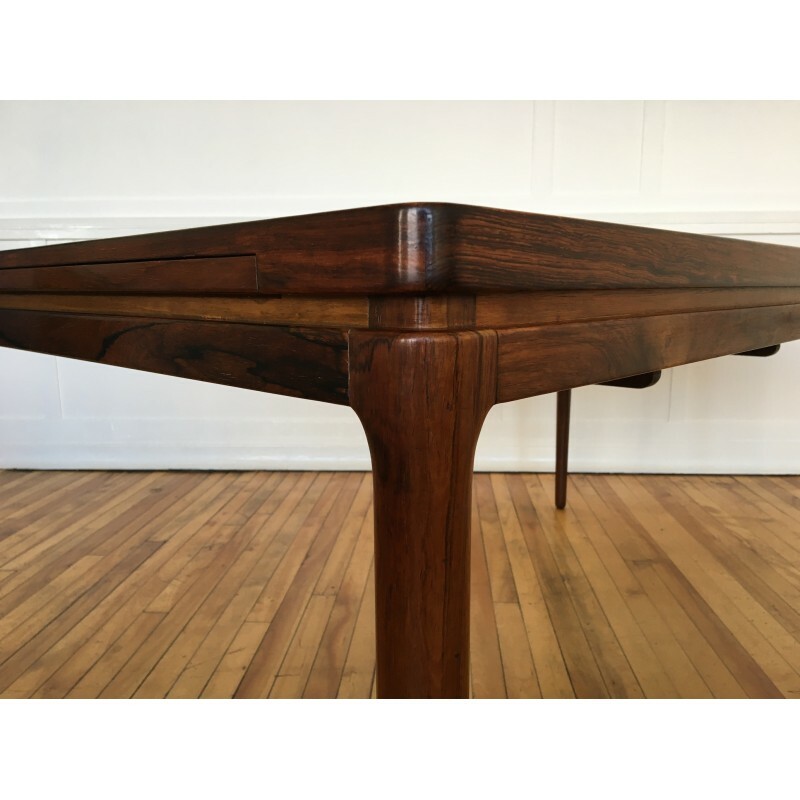 The table is in excellent restored condition. 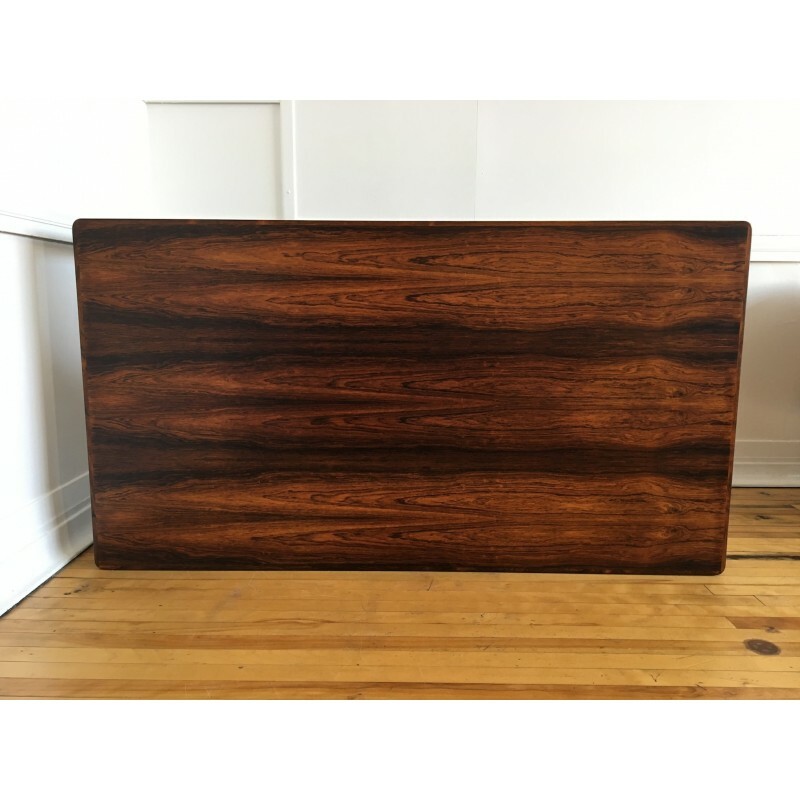 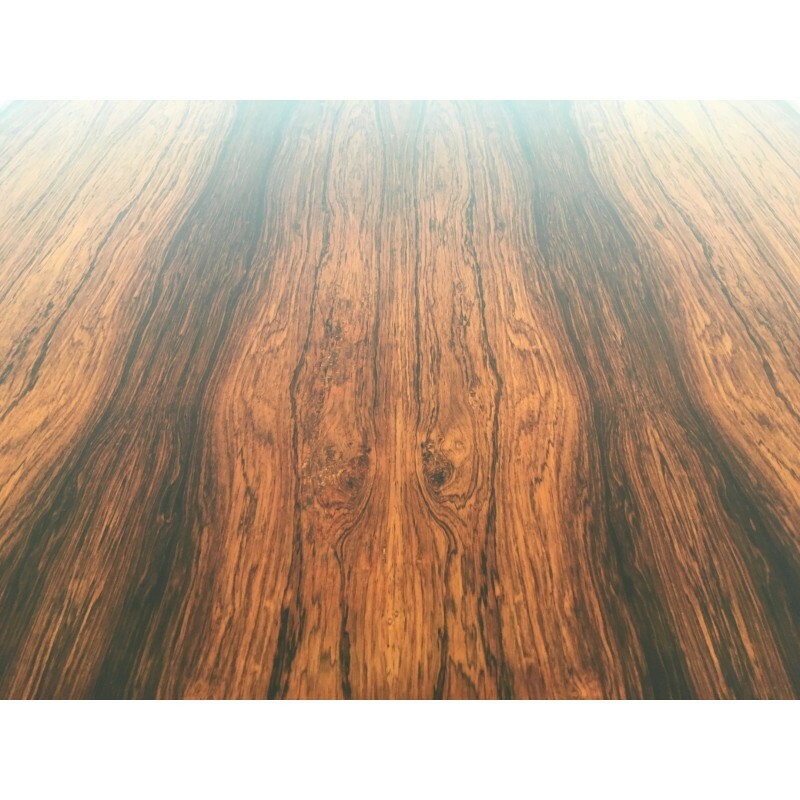 The rosewood is a lovely rich colour and boasts some spectacular grains. 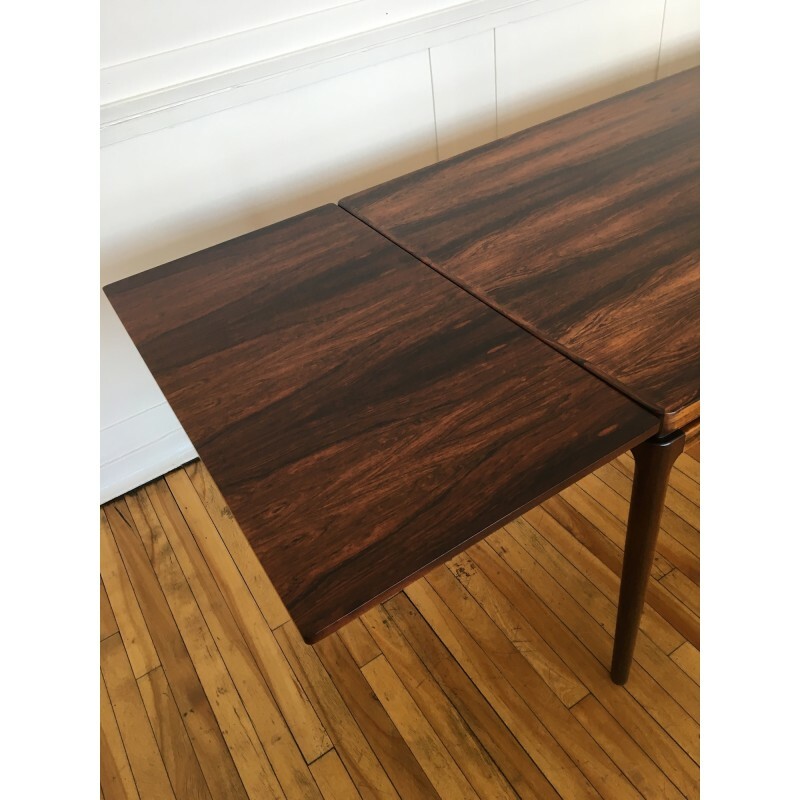 As is very common with extending dining tables of this age, there is some colour difference between the main table top and extension leaves due to sunlight exposure. 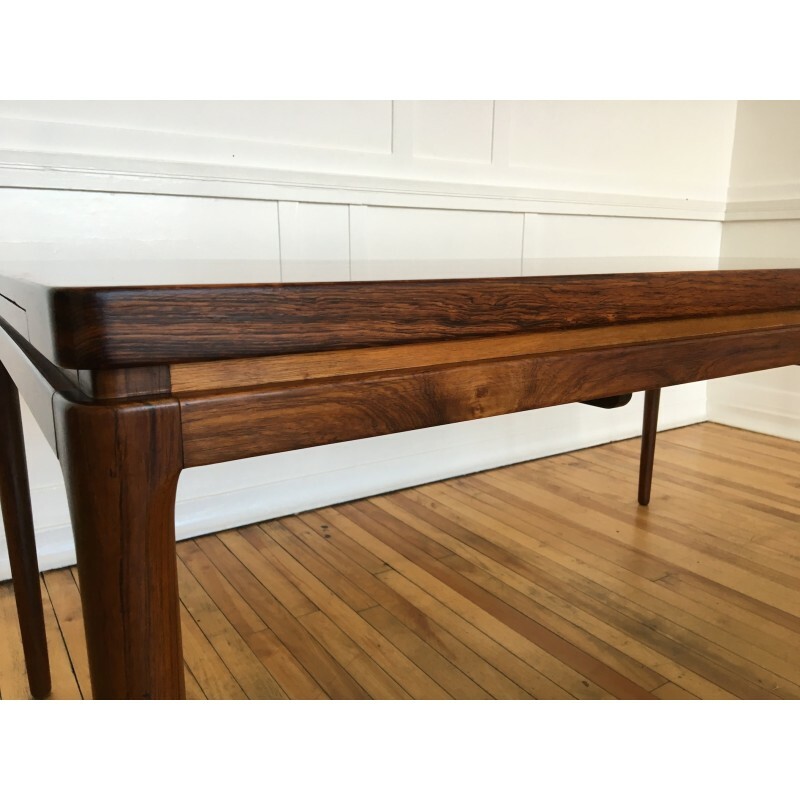 There is also a very small area with some slight discolouration as can be seen in the final photo, but this is only visible upon very close inspection and mentioned for absolute accuracy only.